Dr. Woong-Chul Yang is Vice Chairman of Hyundai Motor Group, Automotive sector, R&D division since April 2011. He was President of Hyundai Motor Company, R&D division from January 2009 - April 2011 and Head of Eco Technology Center from April 2008 - October 2012. 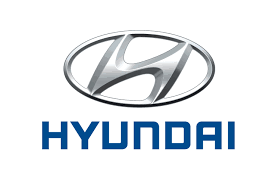 From November 2005 -March 2012, Dr. Yang was CEO of Hyundai Carnes. During the period of October 2004 – December 2009, he was Head of Electronics R&D Center at Hyundai Motor Company. From January 1987 – September 2004, Dr. Yang was Senior Staff Technical Specialist at Ford Motor Company, R&D division. He was a Research Engineer at the Korea Institute of Science and Technology from January 1980-July 1982. Dr. Yang received his Ph.D. from the University of California in 1986, his M.S. from the University of Texas in 1983 and his B.S from Seoul National University in 1977. Blue Drive is Hyundai Motor Company’s low-carbon, green technology strategy to reduce automotive CO₂ emissions. The vision is to improve vehicles’ fuel efficiency short term, while developing eco-friendly cars, such as biofuel, hybrid, electric, and hydrogen fuel cell vehicles, with the ultimate goal of developing zero CO₂ emission vehicles. Hyundai Motor Company is steadily developing technologies to achieve zero emissions and improve eco-friendliness of its cars. It is using direct injection systems that improve efficiency and reduce emissions in gasoline engines, high-efficiency transmissions that deliver excellent fuel economy, and advanced high strength steels that reduce the weight of vehicles. Since unveiling its first hybrid concept car in 1995, Hyundai Motor Company has won numerous awards, including Sonata Hybrid’s AutoPacific Customer Satisfaction Award in 2012, for its hybrid models. Azera Hybrid (Grandeur Hybrid) was launched in 2013 with a Class 1 fuel economy rating, and in 2015, Hyundai Motor Company plans to launch a plug-in hybrid car that can be charged using external power supply. Hyundai Motor Company unveiled its first high-speed electric car, BlueOn, in 2010. BlueOn can achieve a driving distance of 140 km per charge, top speed of 130 km/h, and zero-to-100 km/h acceleration in 15.7 seconds. Hyundai Motor Company is working relentlessly to develop a compact car with a driving distance of over 200 km per charge, zero-to-100 km/h acceleration in 11.5 seconds and battery-charging time of 5 hours (23 minutes for a quick charge) by 2016. Fluidic Sculpture is Hyundai Motor’s design philosophy of “Moving the soul by expressing the beauty of nature in an artistic form.” The term “Fluidic” represents nature and the term “Sculpture” represents art. Beginning with Sonata YF in 2009, this design philosophy has been applied to vehicles such as Accent, Elantra, and Azera and has been embraced by customers. In 2013, to complement Fluidic Sculpture 1.0’s graceful style, Fluidic Sculpture 2.0 was unveiled to add value through a dynamic yet poised and understated elegance. The All-new Genesis and All-new Sonata illustrate the Modern Premium of Fluidic Sculpture 2.0. and are yet another result of Hyundai Motor’s efforts to deliver unique value as a global automotive company. From compact cars to passenger and commercial vehicles, the power train center is responsible for developing the heart of every car. With independently made engines, transmissions, and eco-friendly exhaust systems, Hyundai boasts a full lineup of model engines. Hyundai continues to work hard to develop power trains that will be recognized as the best in their class by the world over. Hyundai Motor Company’s impressive record in engine development began in 1991, when it developed the Alpha engine, which marked the beginning of independent Korean automotive technology. In 2004, Hyundai’s Theta engine became the first all-Korean engine to be exported to a developed country. It displayed the Korean auto industry’s technical prowess to the world and raised the brand’s recognition. In 2009, Hyundai developed the R passenger diesel engine, the first in Korea to meet Euro-5 regulations and be classified as a low-emission engine by the Seoul metropolitan area. Wards Auto World named Hyundai’s Tau engine one of its 10 Best Engines for three straight years, from 2008 to 2010. In 2012, the Gamma T-GDI engine, with best-in-class power performance and improved fuel efficiency, proved to the world that its engine technology is the best in the world. Hyundai Motor Company is ramping up technology development to lead the market by satisfying fuel efficiency and performance standards. 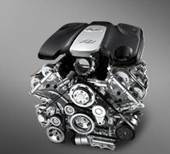 It is developing Continuously variable valve lift (CVVL), Turbocharged direct-injection technology for gasoline engines; and clean diesel engines (with post-processing devices), and a two-stage turbocharger for diesel engines, which will soon meet Euro-6 regulations. It has also developed a multispeed transmission, Double clutch transmission (DCT), Continuously variable transmission (CVT), and more, demonstrating Hyundai Motor’s power train technology to the world.